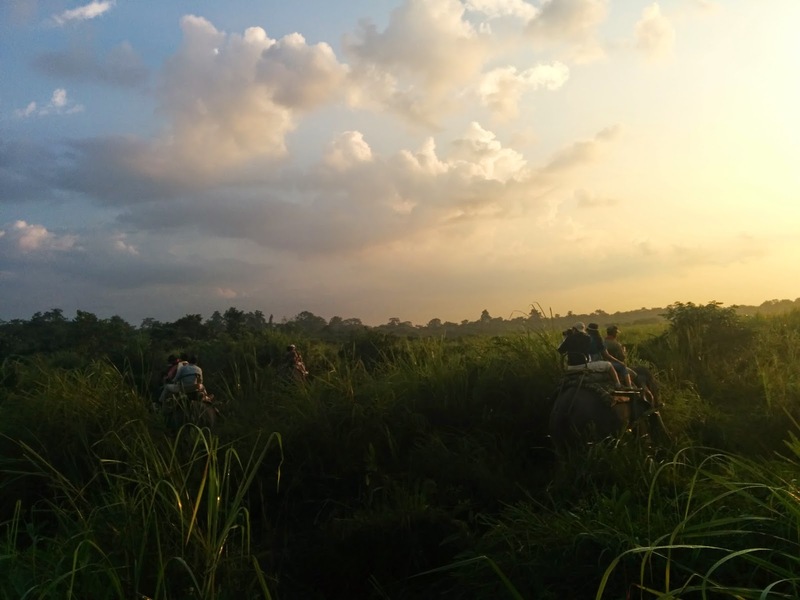 Gawde's Gamut: North East diaries - Kaziranga Day 2, The Morning. 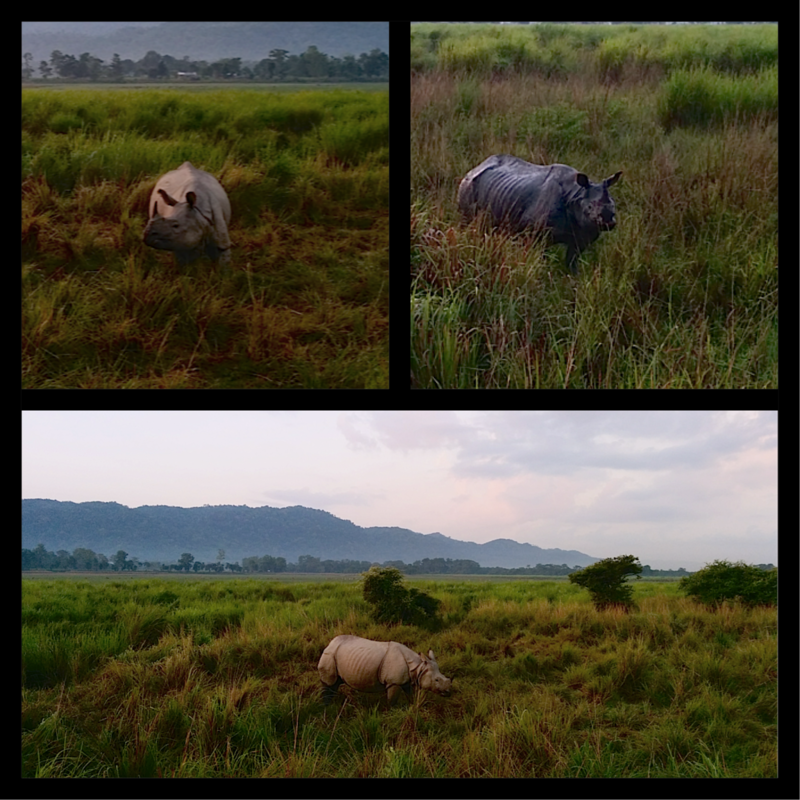 North East diaries - Kaziranga Day 2, The Morning. The daylight is gone by 5pm here, I am writing part of this at 6:30pm and it feels like it is past dinnertime. I was wondering why, and then realized that we are quite far east relative to Bangalore and maybe India should have different time-zones. The other thing is, everyone seems to be very punctual. I was asked to be ready for the Elephant Safari at 4:45am sharp. Now in another place this easily means 5:15am is when people will gather and 5:30 is when one would leave. Though I got up at 4:30am (for the second day in a row! Is this really a vacation?) I only reached the lobby at 5am (thinking I would be one of the first to get there). Only to realize, that one vehicle had already left and the other was just about to. I barely managed to stop the last one and clambered onto the rooftop, for a chilly morning ride to the park gates, that woke me up sufficiently enough. Now the elephant safari is difficult to get onto, there are limited seats and loads of people who want to be on them. I got in at first attempt, but some folks from my resort, were not as lucky. The key is to give the resort folks advance notice abut your intentions of going to the safari. The safari was great. Wading through the tall elephant grass, getting front row seats to the Rhino. 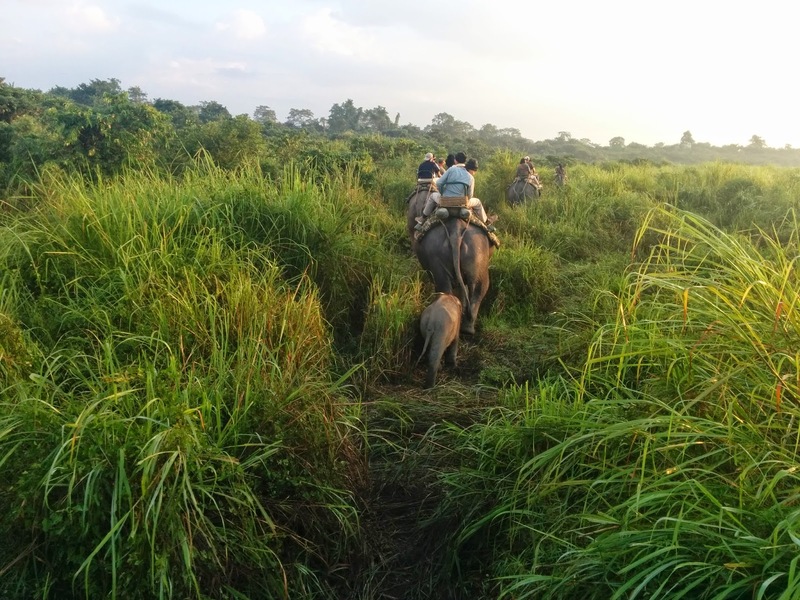 The mahouts had a fair amount of knowledge, but the chief entertainment came from the group of tourists that was on another elephant, within earshot. The lady was keen to know if the Rhino was “vegetarian”. The uncle was more interested in knowing who would win if an Elephant fought with a Rhino. The best of the day however was another uncle who made the genius observation that “The elephant is one of the only animals that looks the same from the front and the back”. If I had the chance, I would have liked to point the uncle to some of those walking carpets that pass off as dogs, which look the same no matter what angle you look at them from. I was done with the 40 minute Elephant Safari by 6:30am and headed back to the resort for breakfast. Someone passing by asked me if I wanted to go on a jeep safari. Since I had nothing better to do, I said "Of course yes! Let's go"
One thing you need to get onto the jeep safari is a permit to the park. Remember, this permit, costing about 450Rs., lasts the entire day, so you should plan to get it once in the morning and do all your safaris on the same day. The Forest dept. officials who gave out these permits were extremely polite and nice to talk to. Which was pleasantly surprising! 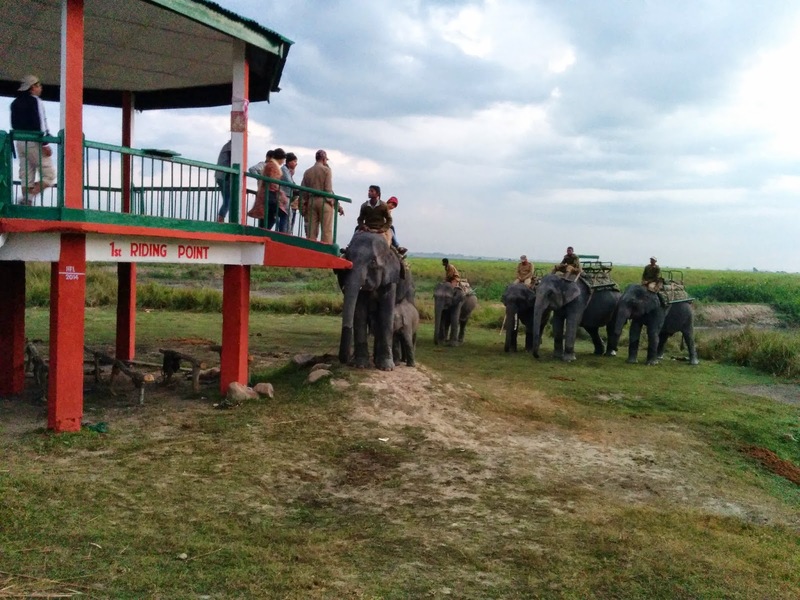 Kaziranga has many sections (Eastern, Central, Western), and I was to cover the central section by the first Jeep safari. This is highly recommended if you are a bird enthusiast. Though I did not see much, other than some more Rhinos, Swamp deer, hog deer and wild boars from a distance, it was a good ride. I had the jeep to myself, which was a little expensive. Back at the hotel I met Pushkar. 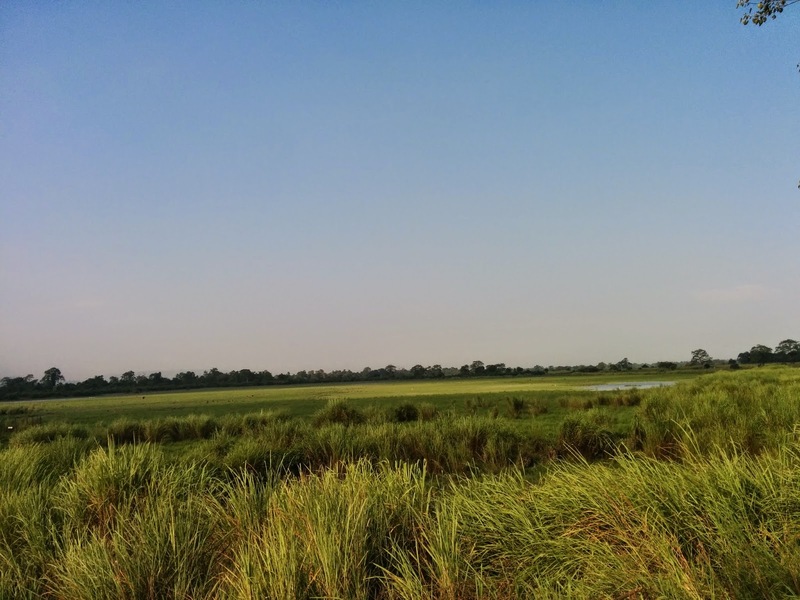 Pushkar is a photography and wildlife enthusiast, and was playing nature guide to a group of Austrians. We got talking and decided that we could head out to the Eastern section of Kaziranga on a jeep right after lunch. 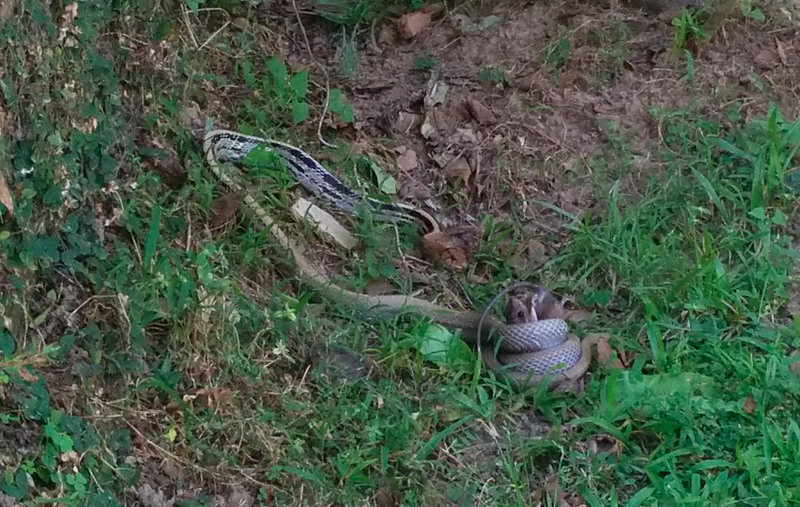 All this while he helped catch a Copper headed trinket snake that had wandered into the resort and release it into the forest nearby, amidst a flurry of excitement among the rest of us. Now I am super looking forward to this safari in the afternoon. Never give up on the chance to accompany someone who is a nature enthusiast. I am sure that Pushkar is going to point out things that I would otherwise miss out. There is so much to animal behaviour, that makes any trip into the jungle interesting, if only one were to be able to observe and understand it. Here is to hoping that the afternoon is as interesting as the morning! North East diaries - Meghalaya, you beauty!